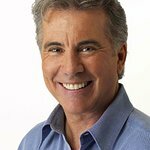 Operation Kids honored John Walsh, host of America’s Most Wanted, last Saturday, October 11, at its Annual Lifetime Achievement Award Gala for the more than 25 years he has spent working to protect children. Generous donations from gala sponsors like XanGo and America First Credit Union, other corporate and private donations, and donations received that evening from guests of more than $50,000, were distributed among the event’s three benefited charities. Operation Kids was able to present checks Saturday totaling $850,000 to the National Center for Missing and Exploited Children (NCMEC), The McGruff Safehouse Network and the Utah Internet Crimes Against Children Taskforce (ICAC). All funds will go toward funding the organizations’ child safety initiatives as a tribute to Walsh. The 2008 Lifetime Achievement Award Gala, honoring John Walsh, was hosted by Dennis Haysbert (24, The Unit), with tribute speeches by Daniel J. Travanti (Hill Street Blues, Adam), Utah Attorney General Mark Shurtleff and Senator Orrin Hatch. A tribute concert was headlined by Collin Raye, with special performances by Anna Wilson, Monty Powell, Jim Brickman and Susan Ashton.